For a long time, man has struggled to get comfort in different climates and seasons. 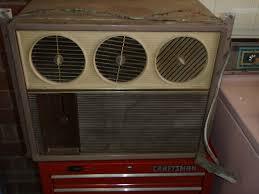 Air conditioning happens to be one of the best inventions of man on that regard. Air conditioning in its primitive form such as fans used in palaces has existed for a long time. They were, however, inefficient and expensive to use and acquire. This, therefore, limited their use to palaces alone and homes of wealthy individuals. Until the 1900s, American also dealt with harsh weather conditions the same way common folks around the world did. Things began to change when electric fans were invented. These replaced hand fans that wealthy people were used, and slowly even the working class found it affordable to have one installed at home. The first real air conditioner was built in 1881 for a dying president. It involved blowing air through cotton sheets soaked in cold water. This was obviously an expensive technique. By the end of the two months, the system had consumed over half a million pounds of ice. The first efficient air controller was built in 1902 after Nikola Tesla invented alternating current motors. This made it possible to make oscillating fans. That is when a New York-based 25-year-old engineer named Willis Carrier made the first true air- conditioner. This device blew air thorough water-cooled coils. The unit was not invented with human comfort in mind. It was designed to make sure that a printing press was dehumidified. The process involved cooling the air to get rid of moisture from the warm moist air. He then in 1922 followed it with a modification. He invented the centrifugal chiller to reduce the overall size of the unit. It was introduced in the Rivoli Theater, Times Square. This started the tradition of the blockbuster summer, where people would flock to air-conditioned movie theaters on hot summers. Carrier’s invention set in motion the idea that air-conditioning can be applied to other living spaces and places of work. From the 1930s, air-conditioning spread from factories to departmental stores, offices, and rail cars, this sent summer productivity to new record heights. Residential cooling, however, took a little bit longer to catch on. Up to as late as 1965, only about 10% of the total population had air conditioning at home. According to reports by Carrier Corporation, the home owners in the South slept on the porch. They also put their underwear in an ice box before wearing it. This changed over the years. By the year 2007, over 87 percent homes had air conditioning. Overall, this marvelous invention has led to Sun Belt cities becoming bearable during summers. They have therefore attracted big populations, creating the U.S long-term population shift. The Europeans have been slow to take the concept of air-conditioning. It is, however, beginning to take root. In the developing world, data is scarce on the use of air-conditioning. The statistics show that air-conditioning is available in corporate offices, hotels, and restaurants. Staying in the shade and drinking cold water is a common technique of fighting heat in third world countries.